This is not the first time that we are talking about Facebook as a marketing channel. In our previous posts we have talked about effective Facebook marketing, some real effective ways to increase revenue through Facebook ads and so on. However, the way B2B businesses are utilizing Facebook to tap into the massively connected audience on it and showcase their brand; we felt the need to discuss about the best B2B Facebook pages and the special tactics they have been using to stand out in the crowd and make conversions. With more than 1 billion users and 15 million brand pages, Facebook happens to be the world’s largest social network and has emerged as one of the most effective marketing channels as well. Like I said earlier, a number of B2B companies are making use of Facebook to connect with customers and eventually generate leads and make sales. Let’s, go through the best five of them (Based on Blue Ocean Market Intelligence’s ‘Fortune 100 Social Effectiveneess Index’) and find out the tactics that they have been using. Let’s learn how a Facebook page can work for B2B companies. 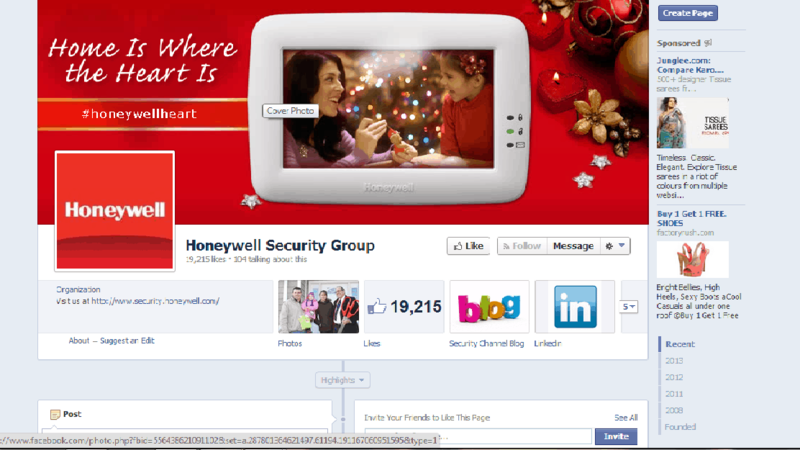 The Honeywell Security Group page ranks first among all the company pages whether they are B2B or B2C, according to the Social Effectiveness Index. Honeywell interacts with and responds to their audience very frequently, and keeps them engaged through interesting industry related content. Besides, their weekly post’ Fun Fact Friday’, through which they feature an industry-related statistic or an interesting and unusual fact, is a wonderful way to drive engagement with their audience. Do a market research and find out the industry related issues or the issues that you customers might be going through and provide resolution to them through your content. Use facts and figures for users to believe you and get engaged. 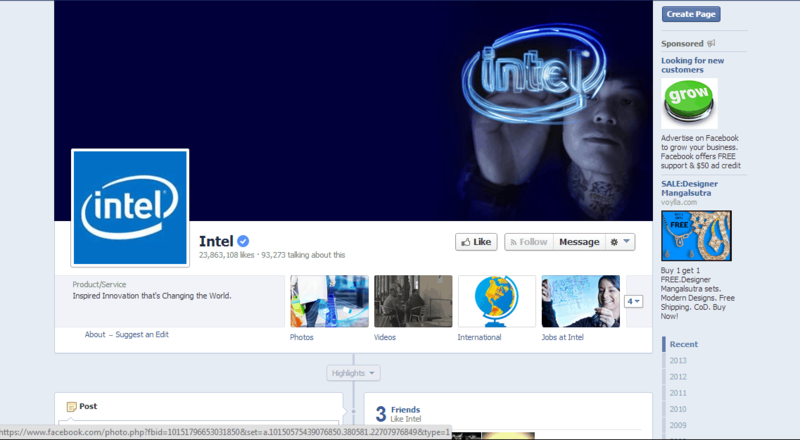 With rank 7 in Social Effectiveness list, Ingram Micro clearly illustrates its business objective through a very professional cover photo. Even, they do a wonderful job in engaging with the customers by posting an assortment of product announcements and common industry-related posts. Besides, to increase interaction with the customer more, every week they post ‘WeeklyWonder’ that encourages the customers to answer an amusing and newsworthy question. Best thing is the consistency that they maintain by having a set day and time for the questions to make it more convenient for users to participate in it. While valuable content really works, consistency is the key. So be consistent in your planning and implementations. Moreover, whether it is your cover photo or anything on your page, it should be very professional and clearly state your business objective through it. 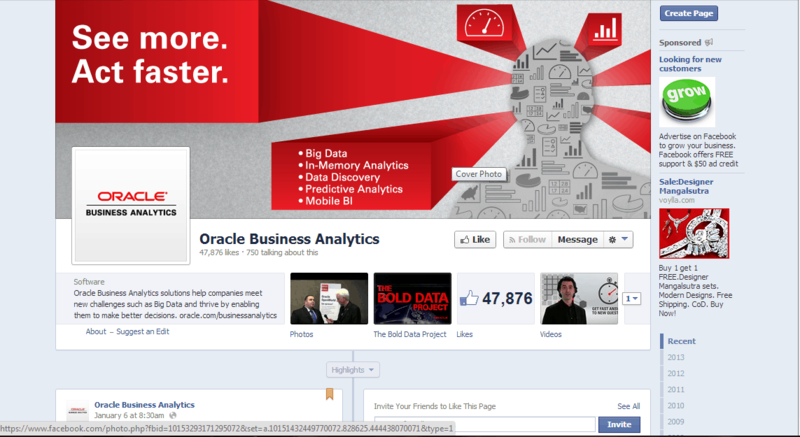 With 9th rank in the Social Effectiveness list, the Oracle Business Analytics page is third best B2B Facebook page. 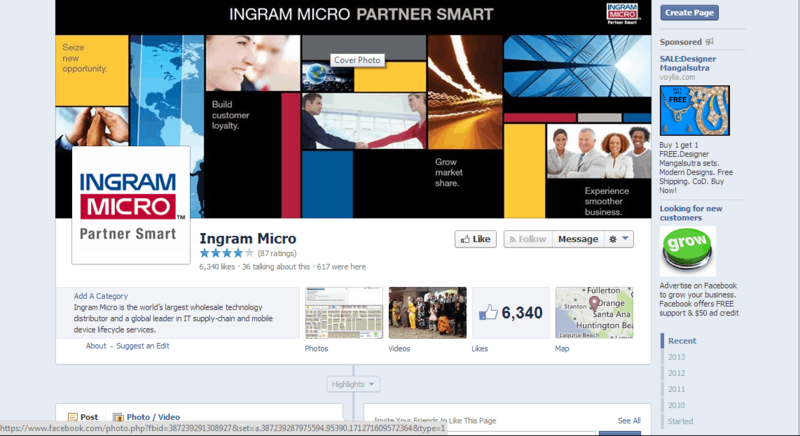 Like Ingram, Oracle clearly states its business objective through its cover photo. It is evident from such a large number of likes how effective they are at creating engaging posts. Besides, they post blogs to Facebook and while doing so they offer large, crisp images that catch the eyes of the visitors and rouse every individual to notice the posts. Not just that, the images that they use happen to be quite interesting for instance, they have an Iron Man image on their Facebook page. Images are a good way to draw individual attention to the content that you want them to read. Besides, stating business objective through different components of the page anyway matters. 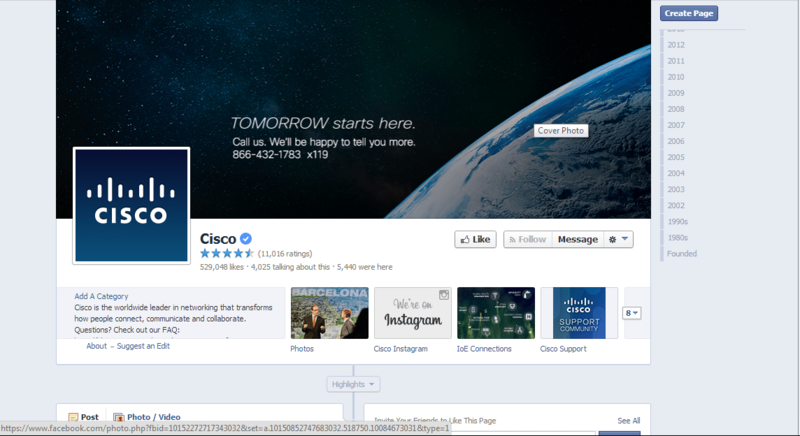 With 14th rank in the Social Effectiveness list, the Cisco page is famous for its insightful and share-friendly posts. They constantly post content based on newsworthy events to engage with customers. Besides, their ‘SuperFan’ program that they ran every month recognized one fan and highlighted him or her at the top of the page. This was a wonderful way of demonstrating how much they care about their customers and fans. Posting content on newsworthy events or matters really works. Besides, make your customer feel special and tell them how much they matter to you by carrying out various innovative and interesting campaigns depending on your business and your target market. Ranked 22 on the list, the company posted content providing resolutions to the common and related issues. They made it more interesting and eye-catching by employing occasional quiz questions and using stunning images respectively. Besides, their’ Museum of Me’ feature that requires permission to access a user’s Facebook data, takes users on a walk of more than 2 minutes through a collection of their posts, photos, videos, links and portraits of friends. This feature allows the company to gain a better understanding of its customers by allowing them to access user’s Facebook information and not just provides users with a fun experience. People are there on social media to revitalize and recreate themselves. Doing anything that would provide them with fun experience will certainly boost customer engagement with you. So up till now in this article we have read what exactly are various B2B companies doing to make their Facebook campaign more happening and triumphant, and we have also learnt a few lessons from them. However, if we boil down the things to a single point and take out the gist, we will certainly find that it is the relevant or say the industry related content that remains common in all the cases. Besides, being a company you need to be as innovative as possible and find out what will work best for you – a quiz, a newsworthy and funny question or dazzling images to catch the eyes of the audiences. So you make use of these ideas and make your company’s page better and more productive.